Every year, thousands of cancer patients undergo radiation therapy as part of their treatment to kill cancer cells and prevent cancer from spreading to other areas of the body. Radiation therapy is one of the most common types of cancer therapy, with a long and established history of helping millions of patients fight their diseases. But that doesn't mean it doesn't come with a price. While most people associate hair loss and nausea as the primary – or even sole – side effects of cancer treatments, radiation therapy can also cause a whole host of skin problems referred to as radiation dermatitis , resulting in painful skin. The good news is, there are products that can be used to help soothe radiation dermatitis and help restore maintain the healthy appearance of the skin. To understand how those products work, it's important to begin with an understanding of radiation dermatitis – what it is, why it happens and what symptoms it causes. Radiation dermatitis is a skin condition that develops as a result of prolonged or repeated exposures to radiation, such as the repeated radiation treatments used in many types of cancer therapies. It can cause an array of effects and symptoms, including redness, swelling, itching, burning, blistering, flaking and peeling. Skin may also become extremely dry and sensitive to the slightest touch. The condition occurs when the skin's structures become damaged by repeated doses of radiation. Usually, symptoms will slowly resolve once therapy is complete, but sometimes, skin can remain sensitive. How does calendula cream help soothe radiation dermatitis? The research published November 1, 2015 recommends calendula creams vs. petroleum-based gel in terms of quality of life for the patient. The study pointed out that patients undergoing radiation therapy should be informed that petroleum-based gel does not cause harm, but there is no data to support any benefit. Research has also shown calendula contains ample amounts of antioxidants lutein and beta-carotene, which are important in maintaining healthy skin and may help play a role in diminishing surgical scars and wounds. And of course, calendula cream contains powerful moisturizing properties that help keep skin soft and supple so skin stays protected and is less likely to become overly dry or compromised. Learn more about calendula cream and its skin care benefits. My Girls™ Skin Care offers a complete line of calendula cream products ideal for treating radiation dermatitis and skin irritation, and every product is 100 percent free of any parabens, artificial dyes and artificial colors, so you can feel good about putting it on your skin. 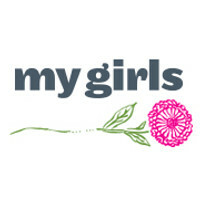 To see the complete line of calendula skin cream products, visit the My Girls™ Skin Care website .